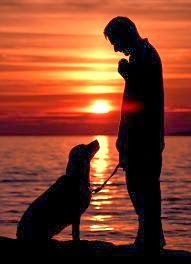 Many people can’t imagine life without dogs. We admire and adore them for their loyalty, unconditional affection, playful exuberance and zest for life. Nevertheless, dogs and people are very different animals. Although officially “man’s best friend,” dogs have some innocent but irksome tendencies—like jumping up to greet, barking, digging and chewing—that can make it downright difficult to live with them! To make the most of your relationship with your dog, you need to teach her some important skills that will help her live harmoniously in a human household. Learning how to train your dog will improve your life and hers, enhance the bond between you, and ensure her safety—and it can be a lot of fun. Dogs are usually eager to learn, and the key to success is good communication. Your dog needs to understand how you’d like her to behave and why it’s in her best interest to comply with your wishes. If you ask around, you’ll get all kinds of advice about training your dog. Some people will tell you that the key is to use a “firm hand”—to make sure your dog doesn’t think she can get away with naughty behavior. Some people argue that you should only use rewards in dog training and avoid punishing your dog in any way. Some people insist that all you have to do is “be the alpha dog,” assert your status as the dominant leader of your “pack.” It’s easy to get overwhelmed by the glut of differing opinions out there. Make sure behaviors you don’t like aren’t rewarded. Like a temper tantrum-throwing toddler without structure in its life, a dog without a set schedule is bound to become irritable and act out. Dogs need set times for interaction, exercise, feeding and training. Learn to listen to your dog. If your dog appears to be uncomfortable meeting another dog, animal or person, don’t insist that he say hello. He’s telling you that he isn’t comfortable for a reason, and you should respect that. Forcing the issue can often result in bigger problems down the line. 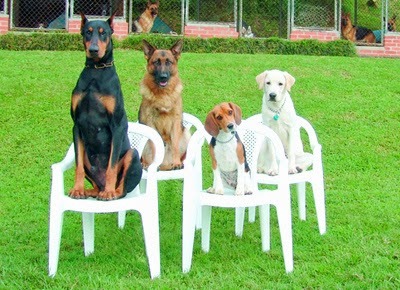 Dog training relies on the presence of one pack leader. A dog lover who assumes the role of pack leader will have successful training sessions. You must have unwavering mental strength and confidence to gain the trust and respect of your dog during training sessions. Your dog can sense if you are uncertain or fear it, so you must control situations by maintaining the role of an authoritative pack leader. Most people don’t have a problem being very clear about when they are unhappy with their dogs, but, they often ignore the good stuff. Big mistake! Make sure you give your dog lots of attention when he’s doing the right thing. Let him know when he’s been a good boy. That’s the time to be extra generous with your attention and praise. It’s even okay to be a little over the top. Just because the bag says “a treat all dogs love” doesn’t mean your dog will automatically love it. Some dogs are very selective about what they like to eat. Soft and chewy treats are usually more exciting for your dog than hard and crunchy treats. Keep your eyes open for what he enjoys. Invest heavily in dog training, and there will be no need for punishment. It takes time and effort to see real improvement in your dog's behavior. Don't let your frustrations distract you from your goal to properly and successfully train your pet. Treating a dog in a humanized manner is perhaps the cardinal sin dog lovers commit. Love your dog, but do not treat him as a baby. Only dogs that understand their role within a family unit are actually trainable. Upset the role identification, and problems are sure to ensue. There is nothing inherently wrong with telling your dog “no,” except that it doesn’t give him enough information. Instead of telling your dog “no,” tell him what you want him to do. Dogs don’t generalize well, so if your dog jumps up on someone to say hello and you say no, he may jump higher or he may jump to the left side instead of the right. 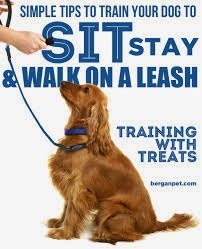 A better alternative would be to ask him to “sit.” Tell him what you want him to do in order to avoid confusion. Whenever you’re training your dog, it’s important to get as many family members involved as possible so everyone’s on the same page. If you are telling your dog “off” when he jumps on the couch and someone else is saying “down,” while someone else is letting him hang out up there, how on earth is he ever going to learn what you want? Consistency will be the key to your success. Let your new dog gradually earn freedom throughout your home. A common error that many pet parents make is giving their new dog too much freedom too soon. This can easily lead to accidents relating to housetraining and destructive chewing. So, close off doors to unoccupied rooms and use baby gates to section off parts of the house, if necessary. One of the best ways to minimize incidents is to keep your dog tethered to you in the house and by using a crate or doggie safe area when you can’t actively supervise him. It never is too early or too late to start working with a dog. Whether your canine companion is a puppy or a more mature dog, commit to start today and achieve with your dog what Millan refers to as "balance between people and dogs." It takes a household to properly train a dog. You, your partner and all household members need to be on the same page when it comes to acceptable and unacceptable behavior. While there only is one pack leader, the other family members still are dominant to the dog, and they must treat their relationship with it as such. The idea of using treats to train is often equated with bribery. Truthfully, dogs do what works. If using treats gets them to do what you want, then why not? You can also use the world around you as a reinforcement. Every interaction you have with your dog is a learning opportunity, so when you think about it, you probably don’t use food very often except during active training sessions. So why does your dog continue to hang out? Because you reinforce him with praise, touch, games and walks. Just remember, the behavior should produce the treat; the treat should not produce the behavior. Changing behavior takes time. You need to have realistic expectations about changing your dog’s behavior as well as how long it will take to change behaviors that you don’t like. Often behaviors which are “normal” doggie behaviors will take the most time such as barking, digging and jumping. You also need to consider how long your dog has rehearsed the behavior. For example, if you didn’t mind that your dog jumped up on people to say hi for the last seven years and now you decide that you don’t want him to do that anymore, that behavior will take a much longer time to undo than if you had addressed it when he was a pup. Remember it’s never too late to change the behavior some will just take longer than others. Set boundaries in your home. If your dog's barking at company bothers you, make this a focal point of your training. If a dog's presence in an off-limits room annoys you, focus on this aspect of the dog's behavior instead. Feed your dog a high-quality diet with appropriate amounts of protein. If your dog spends most of his days lounging in your condo, don’t feed him food with a protein level that is ideal for dogs who herd sheep all day. The money that you will spend on feeding an appropriate quality food will often be money that you save in vet bills later on. I recommend you always check with your veterinarian for the right diet for your dog. If your dog exhibits a behavior you don’t like, there is a strong likelihood that it’s something that has been reinforced before. A great example is when your dog brings you a toy and barks to entice you to throw it. You throw the toy. Your dog has just learned that barking gets you to do what he wants. You say “no,” and he barks even more. Heaven forbid you give in and throw the toy now! Why? Because you will have taught him persistence pays off. Before you know it you’ll have a dog that barks and barks every time he wants something. The solution? Ignore his barking or ask him to do something for you (like “sit”) before you throw his toy. If you’d like to learn how to train your dog or if your dog has a behavior problem you’d like to resolve, don’t hesitate get help from a qualified professional trainer or behaviorist. To learn more about locating the right expert for you and your dog, please see our article, Finding Professional Help. 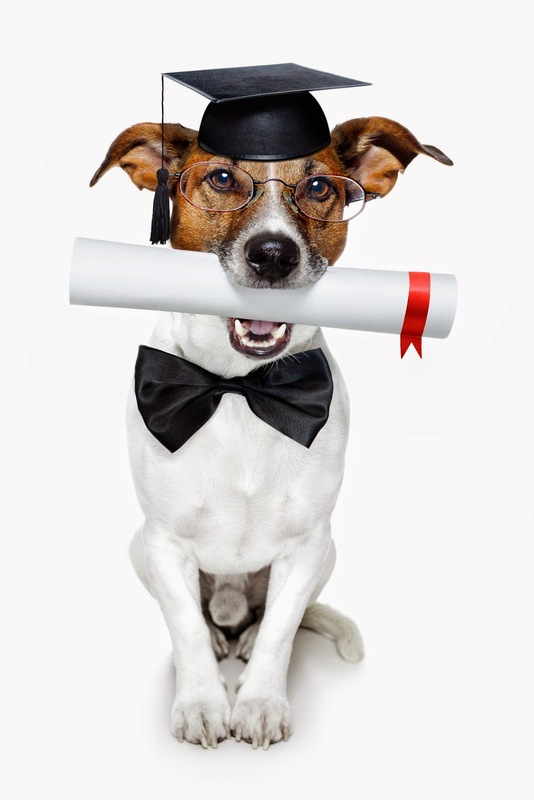 Many Certified Professional Dog Trainers (CPDTs) and Certified Applied Animal Behaviorists (CAABs or ACAABs) offer telephone consultations, in-home private consultations and training sessions, and group classes.